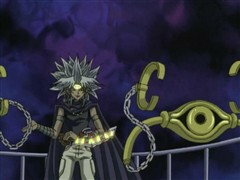 It’s friend vs. friend as Marik mind controls Joey to duel against Yugi! 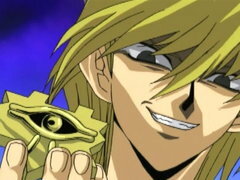 The loser will be dragged into the ocean to sleep with the fishes! 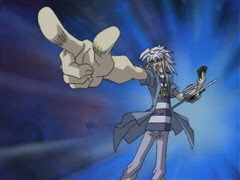 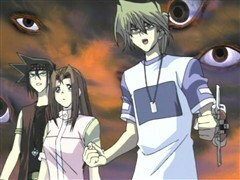 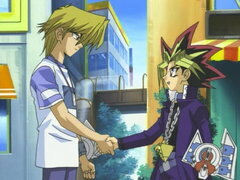 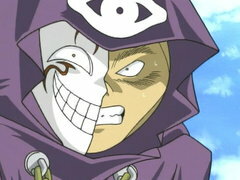 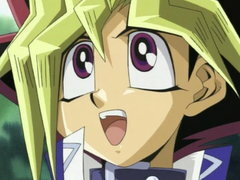 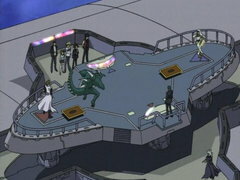 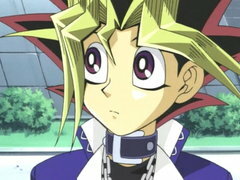 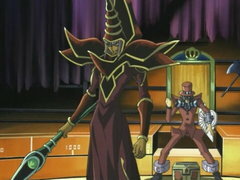 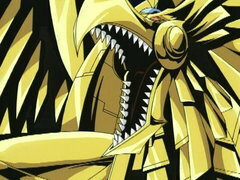 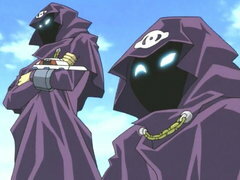 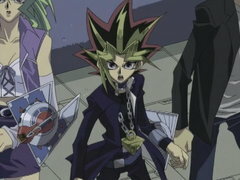 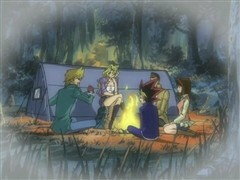 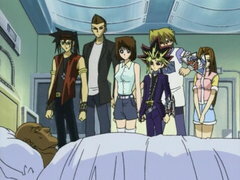 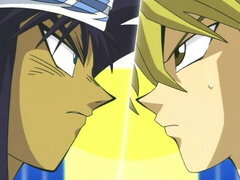 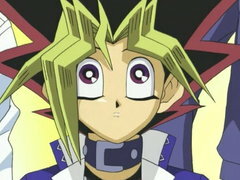 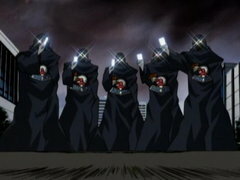 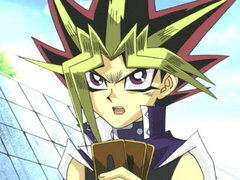 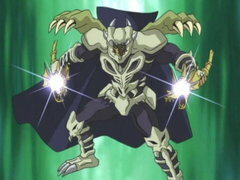 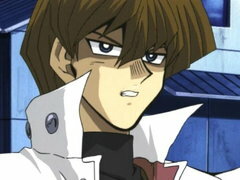 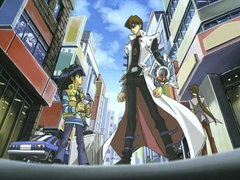 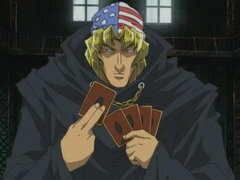 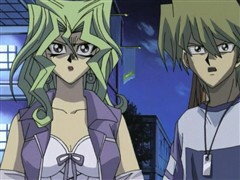 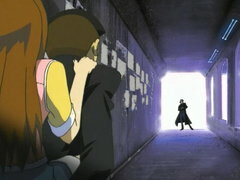 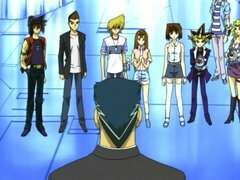 Can Yugi break Joey out of his spell, or will Joey break Yugi? 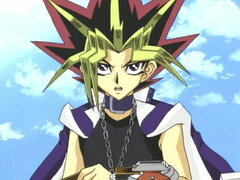 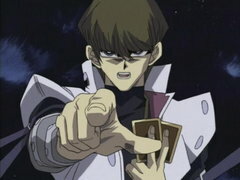 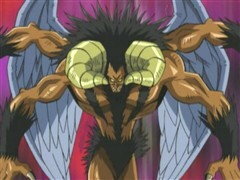 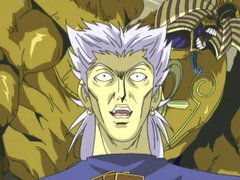 Though Joey decimates Yugi’s life points, Yugi can’t bring himself to attack his dear friend! 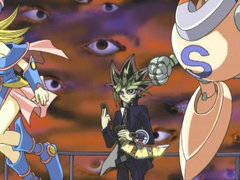 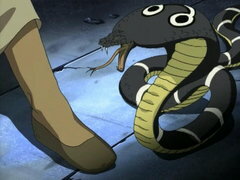 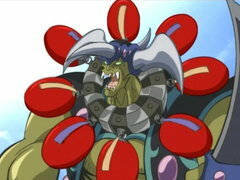 Yugi summons Joey’s favorite monster Red-Eyes B. Dragon to try to bring Joey back to his senses. 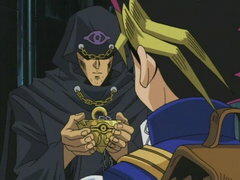 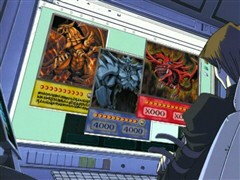 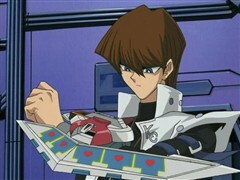 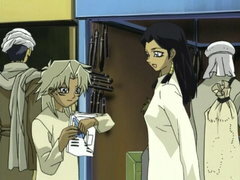 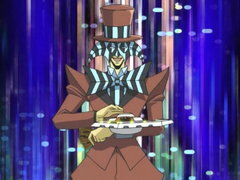 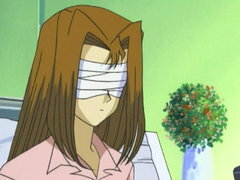 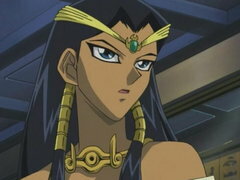 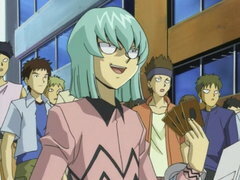 Will seeing his favorite card help Joey break Marik’s spell, or is Yugi’s last ditch effort a lost cause?